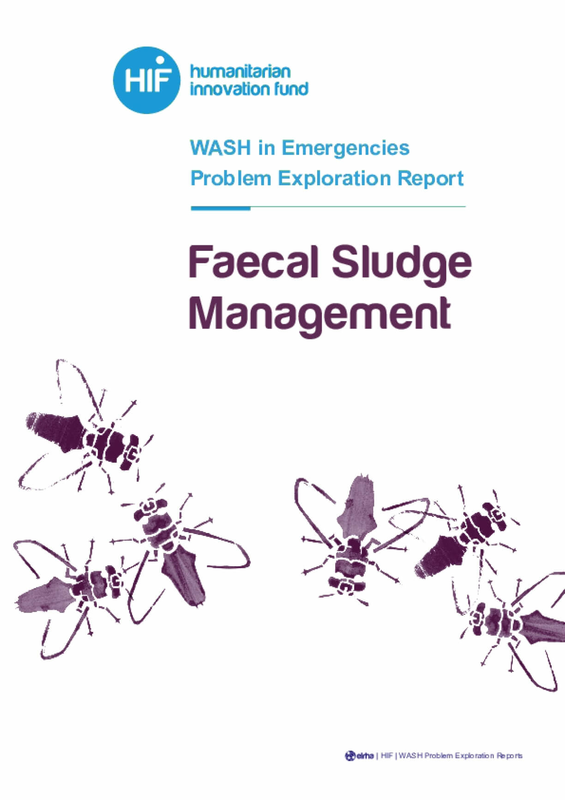 Despite the efforts of organisations such as WEDC, MSF and Oxfam to produce guidelines and books on standards for excreta management in an emergency, there is a lack of standardisation of safety protocols and equipment to strengthen the de-sludging, transporting and disposal of faecal sludge. Furthermore, the management of excreta during an emergency in an urban context has very limited options. This is because there is a lack of available space to implement suitable infrastructures for the users. Digging more pits and increasing the number of raised latrines on the ground may therefore become very difficult depending on the situation. This report puts forward a few challenge areas for further exploration and development. Copyright 2016 by Enhancing Learning and Research for Humanitarian Assistance (ELRHA). All rights reserved.